Just one day after Middleburg hired its new town administrator, the Town of Lovettsville has its fifth-ever town manager. The Town Council Thursday night voted unanimously to appoint Robert G. Ritter, Jr. to the position after an hour of contract negotiations behind closed doors. He will replace Interim Town Manager Larry Hughes, the former 13-year Manassas city manager who the council on Aug. 6 voted unanimously to appoint in response to the July 6 retirement of Sam Finz. Ritter, 53, will be paid $103,000 and will start work in the town on Nov. 5. Prior to that, Ritter worked as the town manager in Chincoteague from June 2006 to Nov. 7, 2016, when the Town Council voted unanimously to fire him. Ritter said that a new mayor and council wanting to go in a different direction was the driving force behind that decision, as well. 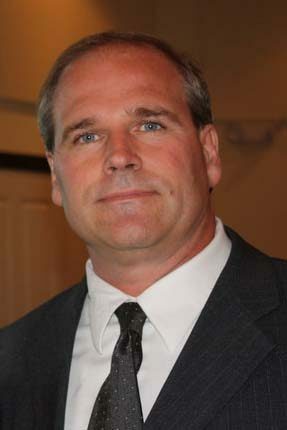 According to a town statement, Ritter is prepared to use his 12 years of experience working in those towns, along with his five years of experience on the Dover, DE City Council from May 2001 to May 2006, to move Lovettsville’s goals forward alongside Fontaine, the town staff, the Town Council and residents. During his time in Chincoteague, Ritter managed a multi-million dollar downtown redevelopment project and had a fishing pier installed in the town. In Dumfries, he worked to obtain $44.8 million from the Northern Virginia Transportation Authority to help fund a $116.5 million project that will widen the eastern side of U.S. Rt. 1 by two lanes, which will keep traffic out of the downtown area. Ritter said that his first task in Lovettsville would be to meet with town staffers to better understand their responsibilities and to discuss the town’s most pertinent issues. The search for Lovettsville’s permanent town manager lasted nearly four months and solicited interest from 41 applicants. The appointment now fills the last top executive position available in western Loudoun’s towns. On Sept. 27, the Town of Round Hill promoted Melissa Hynes, the former town planner, to the position of town administrator three weeks before Buster Nicholson resigned. On Oct. 31, Middleburg appointed former Purcellville assistant town manager Danny Davis as its ninth town administrator, exactly two months before Martha Semmes was set to retire.